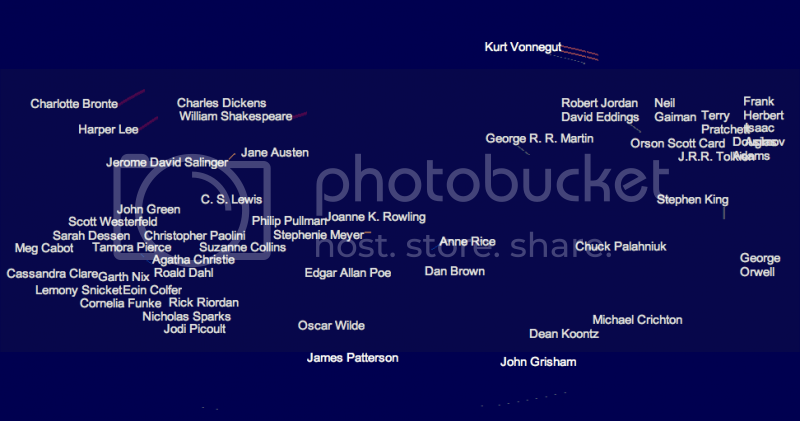 Here's something fun: go to www.literature-map.com and type in the name of an author. Other writers similar to that author will appear in a cloud, with those most similar showing up closest. I like the way the names scramble and wiggle for a spot before they settle down. Click on any other name for a new map. Wow! That is the niftiest thing that I will see today! Thanks! I can't stop clicking! Thanks for sharing .... it's a true delight !